I referee at all levels of the sport, from junior high school to the international level. I see the Sports Imports Net System at virtually all levels. It is a very easy system for us to work with as referees. The Sports Imports Net System is like the most reliable car you have ever owned…when we put it in the floor, and we put it up, we know exactly what we are going to get. Anybody can put up the system. For as long as I remember, I have always used the Sports Imports Volleyball Net System. I love the Sports Imports Net System for its quality, simplicity, reliability, longevity and accurate net heights. The Coaches Corner was designed to be a resource for volleyball coaches and includes training videos, Q & A with top coaches, equipment set-up videos, a blog, testimonials, and valuable information such as regulation court dimensions and net heights. Our passion is the same as our first day of business in the 1970’s. 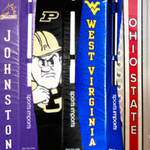 That’s when our founders, highly respected collegiate coaches, helped expand volleyball throughout North America with the first safe in ground net system without dangerous wires. 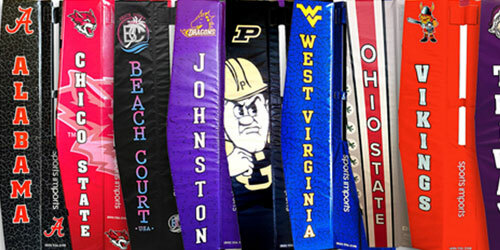 Show your team spirit with Sports Imports customized volleyball pole safety pads and top net tapes. Sports Imports is not only the innovator and leader in indoor and sand/beach volleyball equipment, but we are also compassionate supporters of our sport and related social needs. We are proud to announce that the Sports Imports Net System has been selected by the NCAA for all Men’s and Women’s Division I, II and III volleyball championships. This announcement formalizes a relationship that has been established for many years and is a true sign that the NCAA sees the quality of Sports Imports equipment and that we are the established leader in the volleyball industry. “We are pleased to have Sports Imports join the NFHS as a corporate partner and to be our exclusive sponsor of volleyball. Certainly, when it comes to the sport of volleyball, Sports Imports is renowned as the recognized authority in national and international competitions. 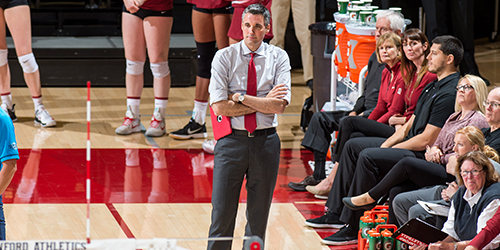 Volleyball is one of the top sports for girls in high schools across the country, so it is great to have Sports Imports on board with the NFHS.” Bob Gardner, NFHS executive director. 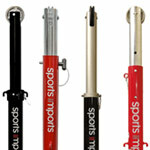 Sports Imports is proud to be the exclusive partner with Senoh since its start in 1976. 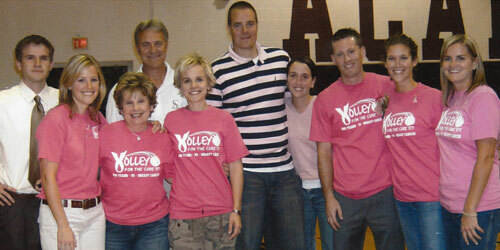 Senoh is an internationally recognized producer of the highest quality volleyball equipment. 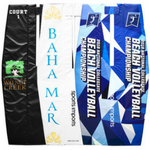 Since 1964 when the sport of volleyball first entered Olympic competition in Tokyo, and 1996 when sand volleyball debuted as an Olympic sport at the Atlanta games, Senoh has been the sole supplier of the volleyball net system.